This book uses 30 exercises to review basic finger patterns in thumb position on the cello. 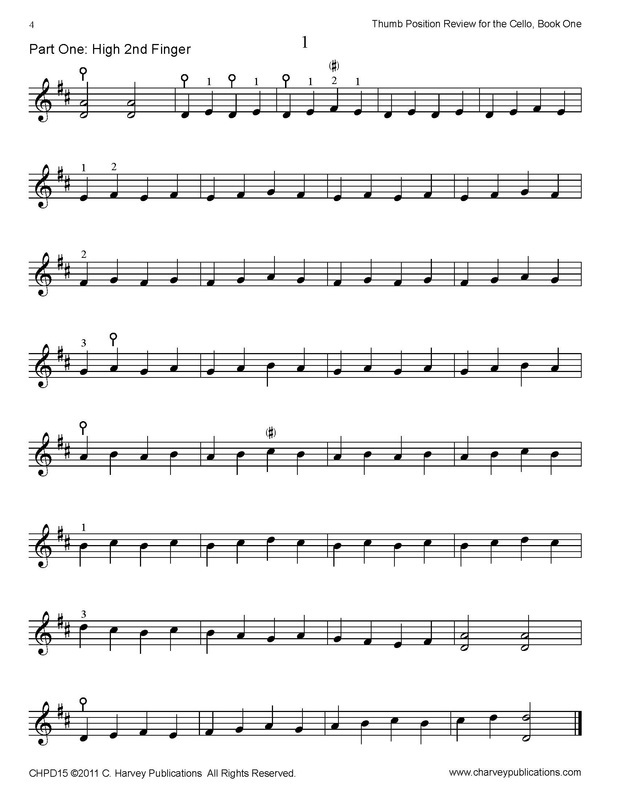 With a note chart at the beginning and minimal use of finger numbers, the exercises encourage note recognition. The books begins with studies in scale-like patterns of notes that are next to each other and progresses to studies in patterns of skipped notes in various intervals. With four distinct sections ("High 2nd Finger", "Low 2nd Finger", "High 3rd Finger", and "Low 1st Finger"), Thumb Position Review is an excellent supplement to Thumb Position for the Cello; Book One, Book Two, and Book Three. Note: this is a PDF download of the book; not a print book.